A reminder that the lovely space we now enjoy as our village hall has always been a community building. I don’t have a date for this newspaper report but I guess it was perhaps the 1970s or 1980s? Does anyone know? 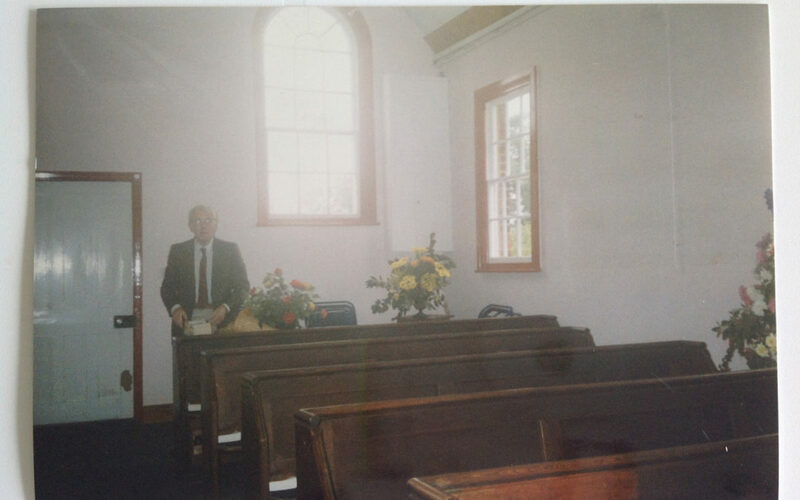 Pictured above Mr Bob Clarke in the chapel. A flower festival with a difference was held in the village of Chrishall, in the Bishop’s Stortford circuit, where the church of 40 members is faced with raising £5,000 for re-wiring and curing wet rot. It was decided to try to involve the whole village in the project, with the result that 14 different groups as diverse as the pensioners’ club, the playgroup and the Anglican church worked together in mounting displays at the church. Displays centred on the area around the Communion table where Methodist and Anglican vestments were displayed and a simple arrangement of arum lilies surmounted an open Bible. The walls and pew ends were decorated with plaques in shades of pink and mauve, enhancing the displays of flowers and accessories depicting the activities of the different groups. 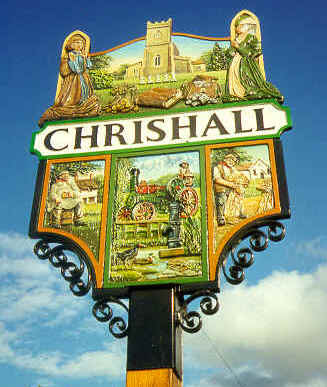 A separate room was given over to a local history exhibition, where visitors renewed memories and others learned what Chrishall was like before London commuters discovered it. Following supper on the Saturday evening, a apacity audience listened to a concert given by the Finchley Methodist church choir and on Sunday the preachers were the Rev Whitfield Foy in the morning and the Rev Prof Gordon E Rupp in the evening, when the congregation was joined by friends from the Church of England. Although the weekend raised £716, it was felt that the church had gained much more in terms of morale and of a new community spirit in the village.